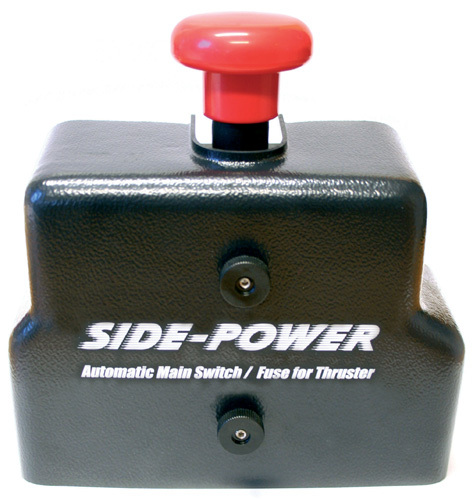 The main power to the thruster is conveniently controlled by the Side-Power control panel. Added safety is provided by the panel's auto-off and the thruster's overheat sensor, also controlling the main switch. Flexible mounting options, S-link control cable, heavy terminals allowing double cables and only one item to fit ensure fast and easy installation. Fuse is NOT included! 12 and 24 Volt mains are available.